Visit Spokane's comprehensive, beautifully distinctive publications are the perfect place to showcase your products and services to qualified buyers and decision makers. Visit Spokane is the number one source of information for visitors and local. Our Visitors Guide provides readers with the very latest about the very best in the region. 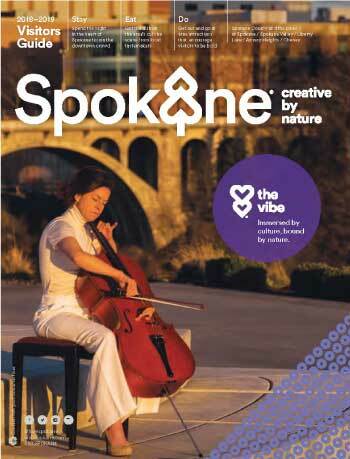 If it's happening in Spokane, it can be found in our Visitors Guide. When you advertise in the Visitors Guide, you will reach thousands of potential customers. The guide is distributed around the state to key cities, to neighboring state, and to our visitor information centers. Plus, the Visitors Guide can be found in most hotels in Spokane County. 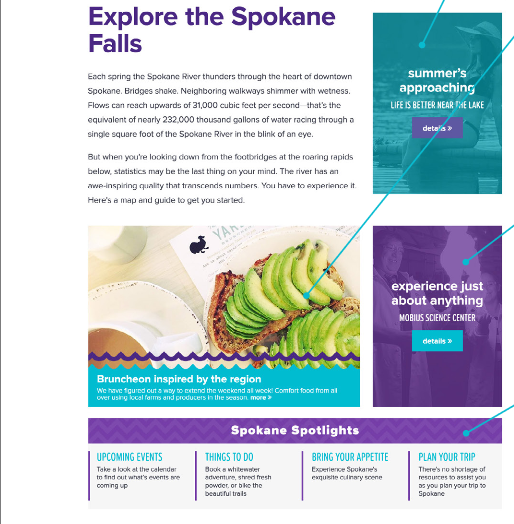 The interactive digital version of the guide, found on visitspokane.com, reaches more than 800,000 unique visitors each year. Remember: our website is the top source for people seeking where to go, what to do, where to eat, where to shop, etc., in greater Spokane. Web advertising with Visit Spokane is a powerful way to reach more than 750,000 visitors per year. With a highly targeted audience of tourists and meeting planners, you can rest assured that your banner, text or rich media interactive ad will not only receive visibility but attain the ROI you're searching for.